You&apos;re probably hitting play and thinking "didn&apos;t I hear this song a lot during 2013?" 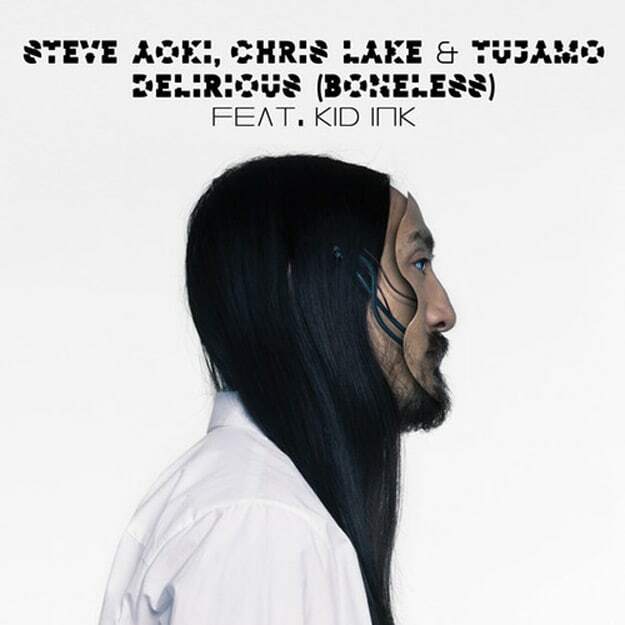 You&apos;re right, the Kid Ink-less version of Steve Aoki&apos;s "Boneless" got released in June of 2013. A few months after, Kid Ink&apos;s DJ Mustard-produced (and Chris Brown-featured) "Show Me" was released, and he&apos;s definitely been building steam ever since. It makes sense that he got added to this cut to give it a trendier edge. This cut is already getting Hot 97 and Power 106 radio play, so it looks like a) EDM is really getting its hip-hop radio on and b) this one could end up being an anthem for another summer. This is the next cut from Aoki&apos;s Neon Future Part 1, which is due out on August 12 via Dim Mak / Ultra Music.